Which diet and lifestyle changes relieve heartburn during pregnancy? Which heartburn medications are used during pregnancy? Are heartburn drugs safe to take during pregnancy? Heartburn (a symptom of gastroesophageal reflux disease or GERD) occurs in one-quarter to one-half of all pregnant women. Heartburn usually begins in the first or second trimester of pregnancy and continues throughout the remainder of the pregnancy. Heartburn during pregnancy is usually mild and intermittent; it can be severe in some cases. Complications of gastroesophageal reflux disease (GERD) such as esophageal bleeding, trouble swallowing, loss of weight, etc. are uncommon. Medications that may be safe for pregnant women to relieve heartburn include antacids, alginic acid/antacid combinations, and sucralfate. Antacids may interfere with iron absorption, and iron is important for the growing fetus so pregnant women may need iron supplementation. Magnesium-containing antacids could slow labor if taken just prior to labor. There are severeal types of medications used to relieve heartburn in women who are not pregnent, but it is not kown how safe some of these medications are for the developing fetus. The cause of heartburn (also called gastroesophageal reflux disease, or GERD) during pregnancy is more complicated than in the non-pregnant state. The basic cause of heartburn - reflux of acid from the stomach into the esophagus - is the same. The lower esophageal sphincter (the muscle at the lower end of the esophagus that normally prevents acid from refluxing) is weak in pregnancy. This probably is an effect of the high levels of estrogens and progesterones that are a normal part of pregnancy. This weakness resolves after delivery. It is not known whether unexplained, transient relaxations of the sphincter, a common cause of reflux in women who are not pregnancy, it also occurs during pregnancy. It is not known if the contraction (motility) of the esophagus above the sphincter, a common contributor to GERD in women who are not pregnant is impaired in pregnancy, and is responsible for delaying the clearance of acid from the esophagus back into the stomach. What makes pregnancy different is the distortion of the organs in the abdomen and the increased abdominal pressure caused by the growing fetus. These changes clearly promote the reflux of acid. Raise the head of the bed on 6 to 8 inch blocks. Alternatively a 6 to 8 inch wedge-shaped foam rubber pad could be used to elevate the upper body. It is important the foam is firm enough to truly elevate the upper body. The wedge should also extend all the way to the waist so the entire chest is elevated. Lying on the left side at night may decrease acid reflux just as it does in non-pregnant women with GERD. In this position, it is physically more difficult for acid to reflux into the esophagus. Occasionally, it may be necessary to sleep in a recliner chair at a 45-degree or greater angle. Frequent, small meals should be eaten rather than three large meals, and the last meal of the day should be early in the evening. After meals, pregnant women are prone to heartburn should not lie down. After the evening meal, no further liquids should be consumed. The emptier the stomach at bedtime, the less likely there will be reflux of acid. Smoking should be discontinued for numerous reasons during pregnancy, including that it aggravates reflux. Chewing gum also may be helpful. Chewing gum stimulates the production of saliva, which contains bicarbonate. The saliva and bicarbonate are swallowed, and the bicarbonate neutralizes the acid that has refluxed into the esophagus. If lifestyle changes are not adequate, treatments with medications that are minimally absorbed into the body (and therefore not a potential threat to the fetus) could be started. Treatments include antacids (for example, Maalox, Mylanta), alginic acid/antacid combination (Gaviscon), and sucralfate (Carafate). The most reasonable first line of treatment is antacids alone, one hour after meals and at bedtime. It may be necessary to alternate magnesium and aluminum-containing antacids to avoid diarrhea or constipation. If antacids alone are not effective, then they should be continued and alginic acid/antacid may be added. Antacids and alginic acid/antacid should be taken after meals and at bedtime, more frequently if necessary, as advised by your doctor. Sucralfate acts by coating and protecting the lining of the esophagus and stomach and is more effective in an acidic environment. Thus, if sucralfate is being used, it should be taken one-half hour before or after doses of antacids or alginic acid/antacid for maximal effect. A small study in pregnant women showed sucralfate is successful in relieving heartburn and studies in animals have not shown adverse effects of sucralfate on the fetus. Some antacids, alginic acid/antacid, and sucralfate contain aluminum, and small amounts of aluminum are absorbed into the body. However, the extra aluminum does not accumulate in the body unless there is impairment in the function of the kidneys, which normally excrete the excess aluminum. Absorption of aluminum probably does not present a problem for the fetus unless the mother has kidney impairment. Magnesium-containing antacids could slow labor. (Intravenous magnesium has been used therapeutically to slow labor that is progressing too rapidly.) This potential problem only applies to magnesium-containing antacids taken just prior to labor and is not of concern earlier in pregnancy. Antacids may interfere with iron absorption, and iron is important for the growing fetus. Pregnant women usually receive supplemental iron and a slight decrease in iron absorption (considering the use of supplements) should not result in a deficiency of iron. Insufficient iron intake or absorption is easily detected in blood tests as iron deficiency anemia. If antacids, alginic acid/antacid, and sucralfate are not effective in controlling heartburn, probably the safest absorbed drugs that can be given are the H2 antagonists, such as cimetidine (Tagamet), ranitidine (Zantac), and famotidine (Pepcid). 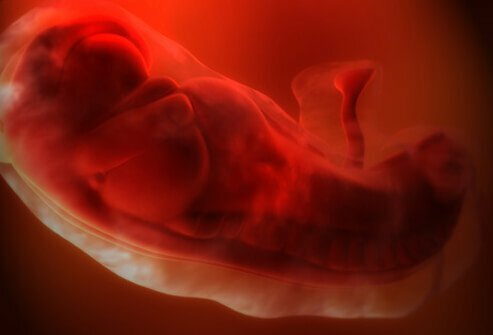 Although there are no studies in pregnant women, animal studies have shown no effects on the fetuses of animals. Nizatidine (Axid) should not be used because it has been shown to have adverse effects on animal fetuses, although at much greater doses than those used in humans. Proton pump inhibitors are similar to the H2 antagonists with respect to safety. Lansoprazole (Prevacid), rabeprazole (Aciphex), pantoprazole (Protonix), and esomeprazole (Nexium) have been shown to be safe when tested in pregnant animals, but because they are newer, experience with them is less than with the H2 antagonists. They should be used only when H2 antagonists in normal doses fail to control heartburn. Omeprazole (Cimetidine, Zegerid) probably should be avoided since although there are no studies in pregnant women showing problems, it has been shown to have effects on animal fetuses at very high doses in some studies. Concerns about the use of H2 antagonists and proton pump inhibitors are greatest during the first trimester when small drug-induced alterations in fetal development can result in major birth defects. Concerns are less during the second trimester and even less during the third trimester when most critical development of the fetus already has taken place. Talk to your doctor before taking any medications to treat heartburn during pregnancy. Metoclopramide (Reglan) is used infrequently in treating GERD. Effects on the fetuses of animals have not been demonstrated and it can be used in pregnancy. Because of its neurologic side effects, it should be the drug of last resort. American Pregnancy Association. "TUMS During Pregnancy." Updated: December 4, 2017. Roy, PK, MD, et al. Gastrointestinal Disease and Pregnancy. Medscape. Updated: May 17, 2018. Nov 30, 2016. Costigan, KA, et al. "Pregnancy folklore revisited: the case of heartburn and hair." Birth. 2006 Dec;33(4):311-4. Vazquez, JC. "Heartburn in Pregnancy." BMJ Clin Evid. NIH. 2015; 2015: 1411. Published online BMJ Clin Evid. 2015; 2015: 1411. Published online 2015 Sep 8. What safe drugs have you taken that relieves the symptoms of heartburn during pregnancy? What caused heartburn during your pregnancy? Fundoplication is a surgical procedure for treating GERD (gastroesophageal reflux disease). The procedure is to help GERD symptoms including heartburn. Eighty percent of patients with GERD also have a hiatal hernia, and during the fundoplication procedure, the hernial sac may also be surgically fixed. The procedure can be done with laparotomy, thoracotomy, or laparoscopy. The stomach contents regurgitate and back up (reflux) into the esophagus The food in the stomach is partially digested by stomach acid and enzymes. See a picture of Gastroesophageal Reflux (GERD) and learn more about the health topic.